It took a little doing but on my recently rooted and rom’d HTC Incredible, I was able to hook up a WiiController using Bluetooth in order to play old NES games. 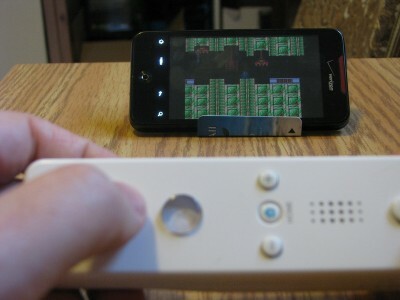 This would work just as well for SNES games or pretty much anything else that’s 16 bit or older. Obviously, the first game up is MegaMan2! Running MegaMan 2 on my HTC Inredible from Matthew H on Vimeo. 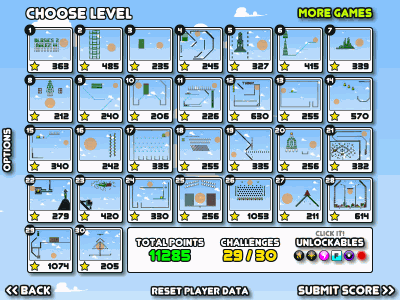 Almost a year ago, I posted about a fun online game called Blosics 2 where you try to throw balls at different structures and try to get them to crumble. The game was a lot of fun but the point optimization is where I really spent a lot of time on the game racing with Andy and Eddy to get the best score (Eddy ended up winning). 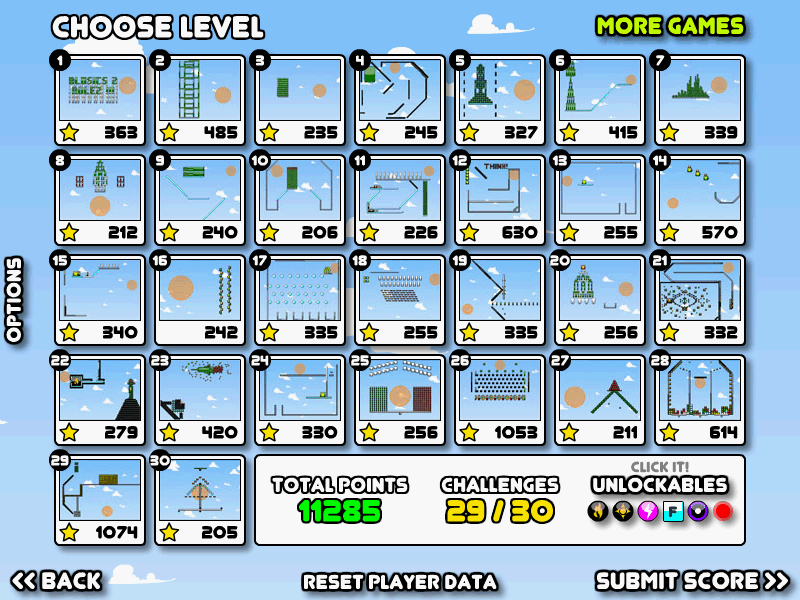 I’m going to try to tie the score up with Eddy on the new set of levels that I discovered the other day; I’ve done pretty well, jumping out to an early lead and getting up to 11285 already – it’ll be interesting to see what he comes up with. Her Eric, wanna give it a shot this time? I mentioned this last year and I will again this year. If you pay money for tax return software (TurboTax, UFile, or HR Block), you’re wasting your money. I’ve used the free StudioTax for the last few years and really, really like it. I’ve also seen some people recommend the free U Do Taxes although I’ve not used it myself. So, if you do your own taxes, you should certainly check one of these free solutions out and save yourself about $40. 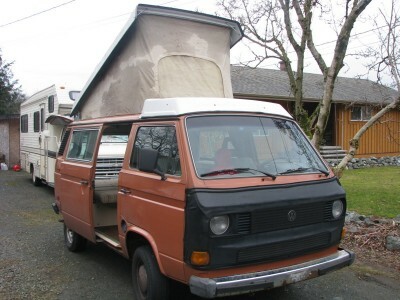 New VW Westfalia camper van! 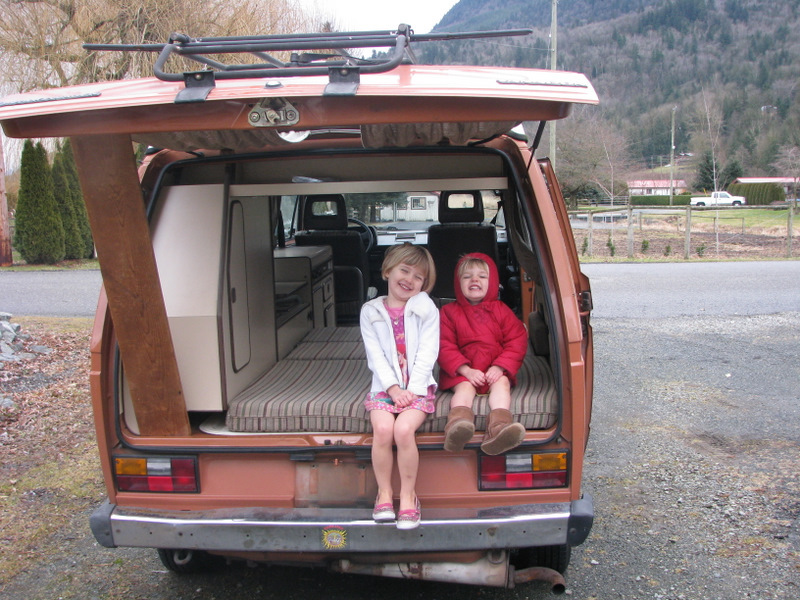 Heidi has wanted a VW camper van since she was in high school and so after a really long wait, we’ve finally made the jump and gotten ourselves an older (1984) VW Westfalia camper van. We’re not going to license it until summer when we plan on camping around our place here and then making a dash for the Grand Canyon for a few weeks in it. 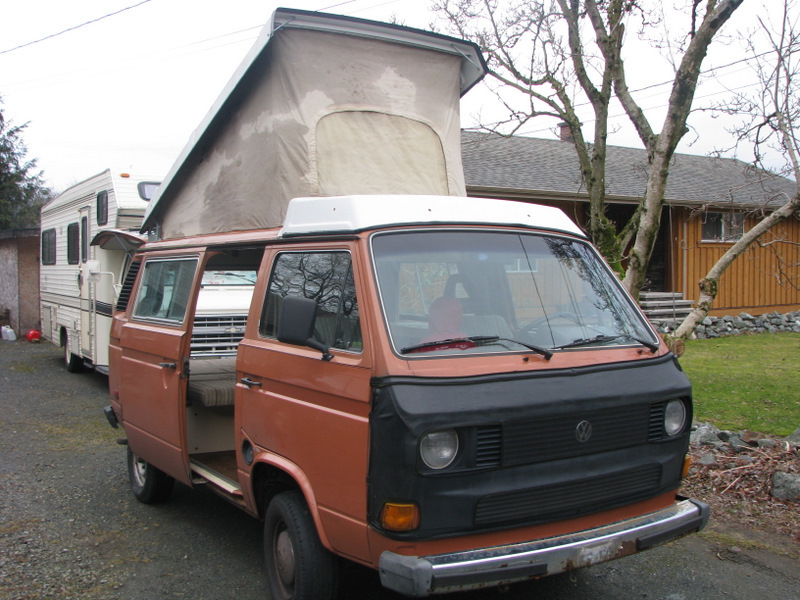 There’s not too much that needs to be done on it – we drove it from Vancouver already and it went very smoothly so we’re excited to not have to spend too much money on upkeep (hopefully). It seems that the girls are really liking it already too, so that’s a good thing! 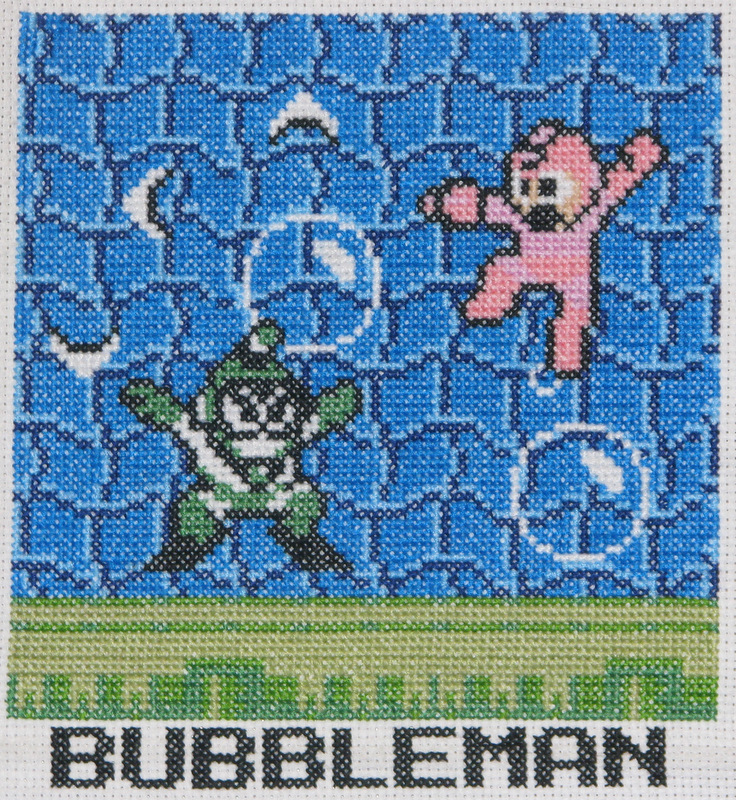 I completed Bubbleman a few weeks ago and then went to work on the text below all the previous ones that I had done (you can see it on the picture above). I’m on to Heatman next and have now hit the half way point of this project! 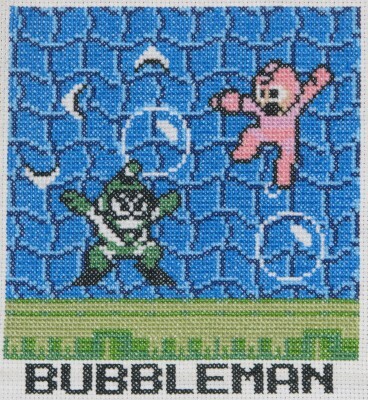 See all my megaman stuff here.